Disney is about to offer a contemporary take on the legendary story of the Seven Dwarves in the upcoming animated series The 7D. 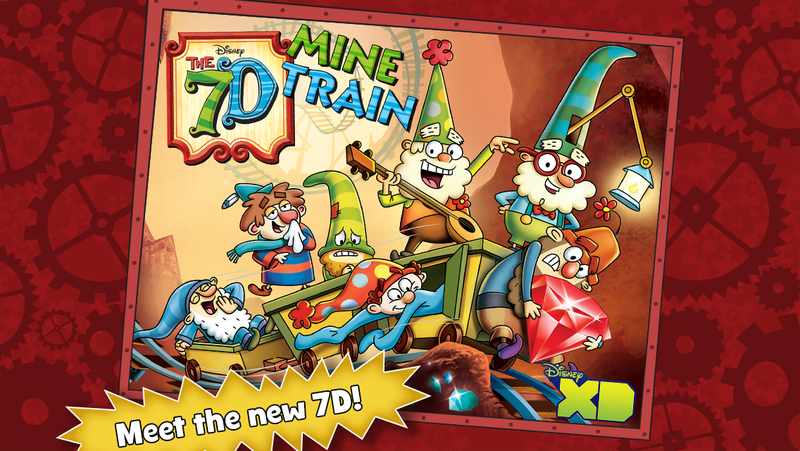 But if you want a preview of the style and story that is coming to you soon on the small screen, you’ll want to download The 7D Mine Train app available now for free! 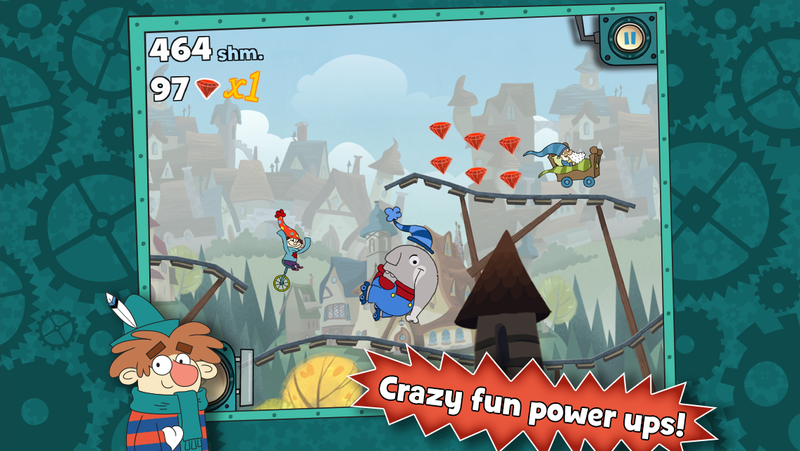 It’s a pulse-pounding side-scrolling game that’s funny, colorful, and filled with interesting things to do. You can shop for different vehicles, buy power ups with the gems you find, and with and you can access all seven dwarves. Currently Sleepy and Sneezy are available with the other dwarves being released over the coming weeks. Sneezy introducing the game on the bottom left of the picture. Scott Menville who plays Sneezy in both the upcoming Disney animated show The 7D and in The 7D Mine Train app was kind enough to talk about his role and to share a bit about what we can expect. He also shared about the influence his father had on his own career and why The 7D and The 7D Mine Train app is great for the whole family. You can read more about that part of the interview on Babble.com. Scott who began his career at the age of 8 has done everything from television to movies to video games. He has done acting in front of the camera as well as voice work in many different mediums including some vocals in the movie Frozen. Scott answered a couple questions about the show and app below. Hi, Scott! Thank you for taking the time to talk with me about your upcoming role in Disney’s The 7D and your role in The 7D Mine Train app. You’ve done a lot of voice work for both television and video games. Do you have to prepare differently for different genres? I don’t. It’s pretty much the same preparation. You have to know the script or in the case of video games the individual lines. The difference is with video games sometimes it’s guessing what the other characters are going to say and how the other actors will interpret their lines. You tend to record on your own and you don’t always know what everyone else is saying. With The 7D we will often record with some of the other characters at the same time. For the first episode we recorded with all of us together, but found out that there are just too many characters in our group to make it work so now we record in smaller groups. How is your work for the show different than the app? Will we learn something new about Sneezy from the game that we might not see right away on the show? I don’t know if we’ll actually learn something different. The app is very consistent with the show. The clips I’ve seen of the show has rockin’ music and the same with the app which has rockin’ music also. I’m really excited about it! I’ve been playing it with Sleepy and really excited to play with my character, Sneezy when it comes out tomorrow! (I interviewed Scott the day before the release) I know what I’ve recorded but I’m just as curious as everyone else to see how he looks in the game. I know they had me sneeze in every way possible so I’m excited to see how they use that. Read the rest of the interview on Babble.com. Then see what Scott is talking about and download the free app today. Watch the introductions to the different dwarves and get a sneak peek as to the flavor, tone, and music of the show that’s coming soon! Then tune in to Disney XD on July 7 and see for yourself this new take on a Disney classic!